A cozy outpost in historic Harpers Ferry, WV, the Anvil Restaurant has been happily serving guests since 1985. Enjoy drinks in our casual bar and seafood and classic favorites in our dining room. From our signature Crab Cakes to our homemade desserts. We invite you to our cozy Anvil Restaurant in historic Harpers Ferry, West Virginia. The Anvil was founded in 1985 and we are proud to be a destination restaurant serving Harpers Ferry visitors and local customers alike. Whether you are visiting historic Harpers Ferry, hiking the C&O Canal or the Appalachian Trail, or paddling on the Potomac River, we welcome you to sample our signature seafood dishes and our classic favorites to enhance your Harpers Ferry experience. Our fun, casual bar offers a daily happy hour from 4-6 pm. Keno and Powerball are available at the bar. You can also try your luck in our Slot Room, which offers five West Virginia Lottery machines, and our lucky chairs from Las Vegas! Our garden and patio are lovely for hosting cocktail parties, weddings, rehearsal dinners, and other group events and our years of experience will make your event a success. For all of the reasons you come to the Anvil, we do our very best to use quality ingredients and make great-tasting dishes for you, and your friends and families. 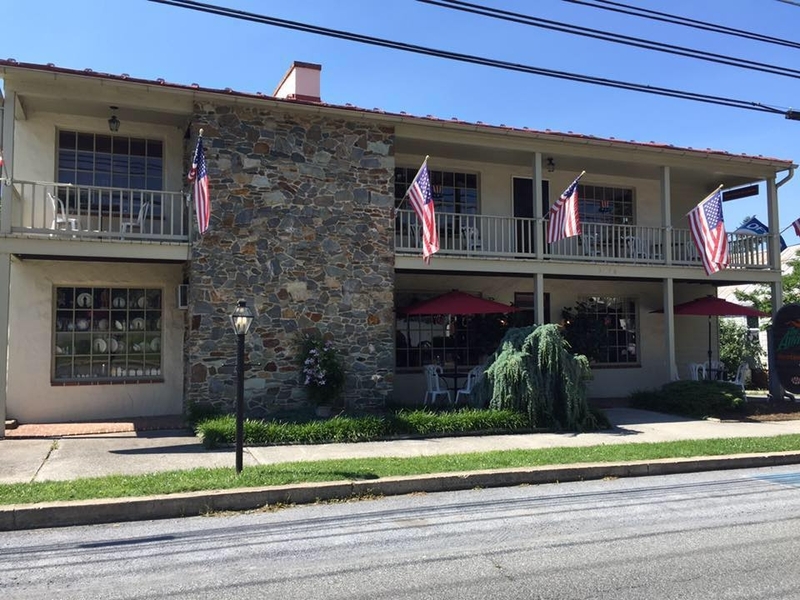 Dine at The Anvil Restaurant in historic Harpers Ferry, WV - a favorite restaurant of Harpers Ferry travelers and locals since 1985. Enjoy drinks in our casual bar. We serve a wide variety of drinks including local beers and wines. Seafood is our specialty! Try our Crab Cakes, our signature dish for more than three decades and taste why it's so popular! Let us host your next event or cater your party. From group events to party platters, we can make your event very special.